Jim Boyd (born 1956) is a singer/songwriter, actor and member of The Jim Boyd Band on the Colville Indian Reservation in Washington. Boyd has performed in several groups, including XIT, Greywolf, and Winterhawk. Boyd sang four songs with lyrics by Sherman Alexie on the soundtrack for the 1998 movie Smoke Signals, and also appeared in Alexie's The Business of Fancydancing. 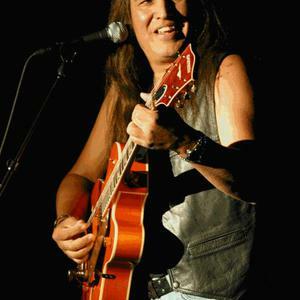 Boyd is also a multiple-time nominee and five-time winner of the Native American Music Award. Boyd won "Songwriter of the Year" in 2006 for his song "Them Old Guitars" and "Record of the Year" for his album AlterNATIVES. Boyd sang four songs with lyrics by Sherman Alexie on the soundtrack for the 1998 movie Smoke Signals, and also appeared in Alexie's The Business of Fancydancing. Boyd is also a multiple-time nominee and five-time winner of the Native American Music Award. Boyd won "Songwriter of the Year" in 2006 for his song "Them Old Guitars" and "Record of the Year" for his album AlterNATIVES. Boyd also received three other nominations for the album Them Old Guitars in 2006, three nominations for the album Going to the Stick Games in 2004, and a nomination for "Best Pop/Rock" act in 2003 for Live. Recently, Boyd won for best short form video.